As many of you know, I’m in the throes of packing for a move to San Antonio – and for a cookbook-aholic, this is a daunting task! It’s difficult to decide what travels with me, what goes to our retirement home, and what “goes”. Some of these books are like dear friends. After all of these years, I know Helen Corbitt – the grand dame of The Zodiac Room in Neiman-Marcus. I’ve relied on her Poppyseed Dressing, and Emerald Rice for as long as I’ve been cooking! And of course, who could leave Julia behind? My many Julia Child books are dog-eared and stained on my most favorite recipe pages, too countless to mention. Jacques Pepin is another culinary icon who wrote the book on cooking. His recipes are dedicated to delicious food, not just “fancy” food. 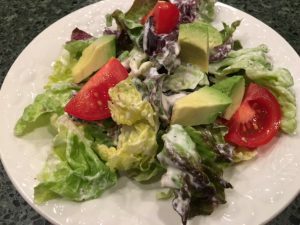 Sometimes it’s the simple things that are so outstanding – like his Boston Lettuce Salad with Cream Dressing (Recipe below). How I would LOVE to sit down with these culinary treasures to talk “food”!! Sadly, Helen and Julia are gone, but Jacques is still quite active and I DO have the opportunity to chat with him!! And you can, too! He will be onboard Oceania’s gorgeous Marina, November 1-11, as we sail from Venice to Rome. I’ve heard from people who have sailed with him before, that in addition to his cooking demonstrations, he is very accessible while hanging out around the ship. Your round-trip airfare is included, along with many perks for being a part of The Dining Diva group! 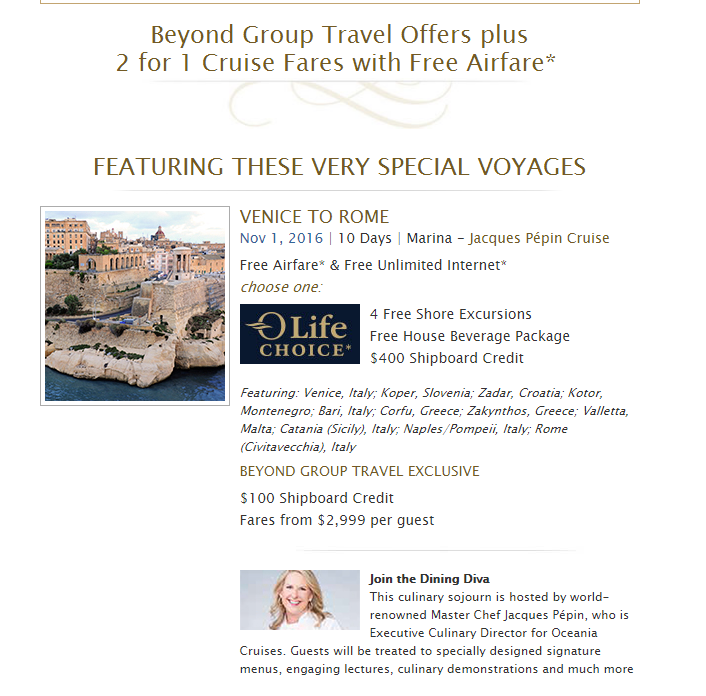 The ports are fantastic (Croatia, Greece, Malta, and several Italian stops), the food is fabulous, and it will be tons of fun! My dear friend, Cindy Chambers (Beyond Group Travel, 713-954-4825) handles all of the travel arrangements, and she is a gem in the business. Hope you’ll join us for this incredibly fun adventure! Hobnobbing with Jacques Pepin – just think about it!! Combine the salt, white pepper, vinegar, and cream in a large bowl. Beat with a whisk for about 20 seconds. The mixture should be foamy and creamy in consistency; it will thicken as you beat it. Add the oil and mix with a spoon to blend it. At serving time, toss the lettuce gently in the dressing.